Part – time fashion designer Kanye West just had his first fashion show on Feb 12, 2015 on a Thursday night in New York City at Skylight Clarkson Square. 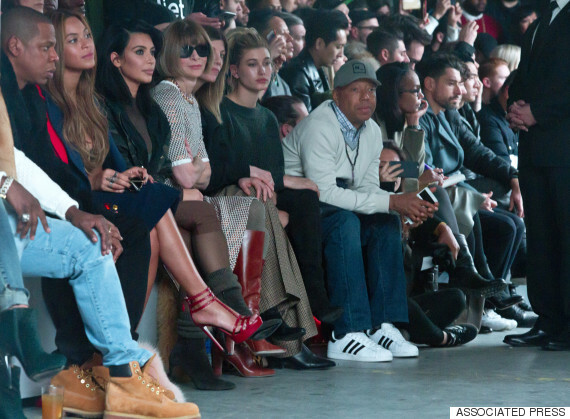 Attending the fashion show was Anna Wintour , Rihanna, Spike Jonze, Alexander Wang, Diddy , Jay-Z , Kim Kardashian and Beyoncé. Kanye West in collaboration with Adidas Fashion Show is about wearing oversized top pieces , a healthy amount of military wear while other looks took a tech-wear vibe, some of the looks were pretty slouchy in fit. Most of the colors were grays and muted greens. The models walked to a different beat. 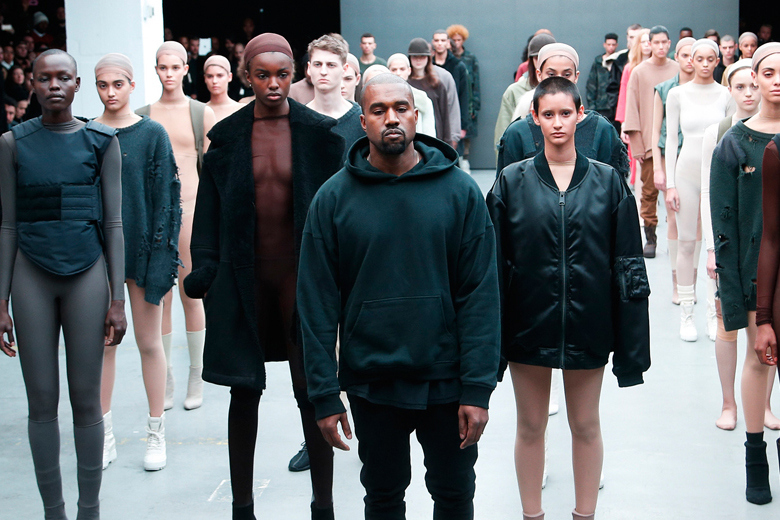 Fashion show music was provided by Kanye West. He debuted a song off his upcoming album called “Wolves”.